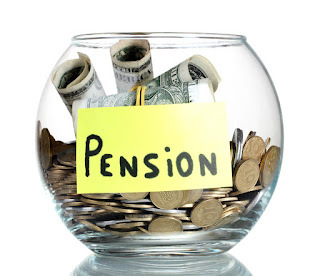 The New Pension System (NPS) is a retirement plan launched by the Indian government. It is regulated by the Pension Fund Regulatory and Development Authority (PFRDA). The scheme is primarily aimed to offer individuals retirement corpus to achieve financial independence during their senior years. An individual aged between 18 and 60 years is eligible to invest in this scheme. A duly filled application form must be submitted to PFRDA-appointed Point of Presence (POP). Every successful applicant receives a unique Permanent Retirement Account Number (PRAN). Applicants receive the PRAN application status through an email or an SMS. Successful applicants are given a welcome kit including the PRAN card and information guide. However, they may check the status with the POP if there is a situation where the PRAN card is not received. NPS contributions may be made in Tier 1 (pension account) and Tier 2 (investment account). These accounts mature when the subscribers reach the age of 60 years. The differences between these two accounts are briefly discussed below, to assist individual investors. Tier 1 account is mandatory for every NPS subscriber and is the primary account. Tier 2 account is optional and may be opened by a Tier 1 accountholder. The returns as estimated using the NPS interest rate remain constant on both these accounts. Subscribers have to make at least 1 contribution to both these accounts each year. The minimum contribution at the time of opening a Tier 1 account is INR 500 and INR 1,000 for Tier 2 account. In addition, NPS subscribers must invest at least INR 6,000 per year to their Tier 1 accounts. There is no minimum annual contribution that is mandatory to the Tier 2 account but subscribers need to maintain at least INR 2,000 as the minimum balance. When NPS was launched, subscribers were not allowed to withdraw from the Tier 1 account until maturity. However, recently this rule has been modified and investors may now withdraw up to 20% of the accumulated corpus. This money is withdrawable only for certain expenses, such as children's education, buying a first home, or for treating critical medical conditions. The Tier 2 account has no withdrawal conditions and subscribers are allowed to withdraw as per their personal needs. Moreover, Tier 2 account holders may transfer money from this account to the Tier 1 account. However, no such transfer is allowed from Tier 1 to Tier 2 account. Subscribers enjoy tax benefits of up to INR 1.5 lacs under section 80CCD (1) of the Income Tax (IT) Act on the contribution to their Tier 1 accounts. An additional benefit of INR 50,000 is available for Tier 1 contributions u/s 80CCD (1B) of the IT Act. No such tax benefits are provided for contributions made to the Tier 2 accounts. Tier 1 accounts mature when the subscribers reach the age of 60 years. At this time, they may withdraw a maximum of 60% of the accumulated corpus as a lump sum. Until recently, this entire withdrawal was taxed at the subscriber’s tax rates. However, 40% of the sum withdrawn at maturity is now tax-free. The balance corpus is converted to an annuity scheme offered by the PFRDA-approved service providers. Investors may use an online nps calculator, pension plan calculator to estimate the annuity they would receive on their converted corpus. On the other hand, investors are allowed to withdraw money from Tier 2 accounts any time, thereby providing complete flexibility. The number of NPS subscribers increased significantly from the time the Finance Minister offered additional tax benefits to the investors. However, a large number of individuals still lack clarity and the above discussion aims to clear some of the differences between the two accounts offered by NPS.